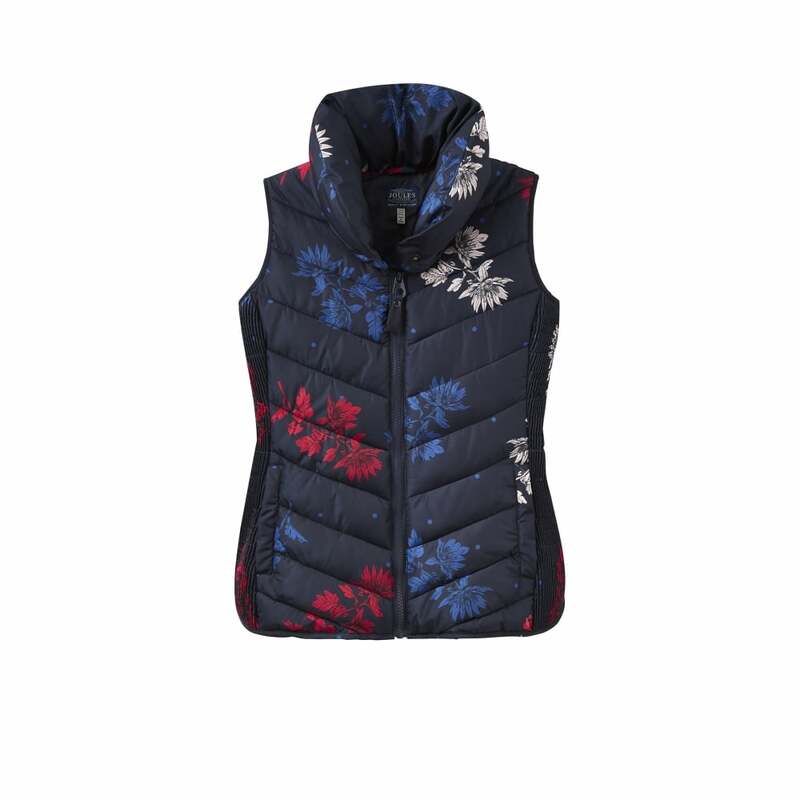 This ladies gilet comes in a subtle print- sure to add a modern touch to any outfit. Lightweight but warm this gilet will look perfect layered over a jumper or shirt in warmer weather. Light enough to carry with you in case of a sudden temperature drop the padding is sure to keep you warm. Chevron stitching and panel details create a neat silhouette.